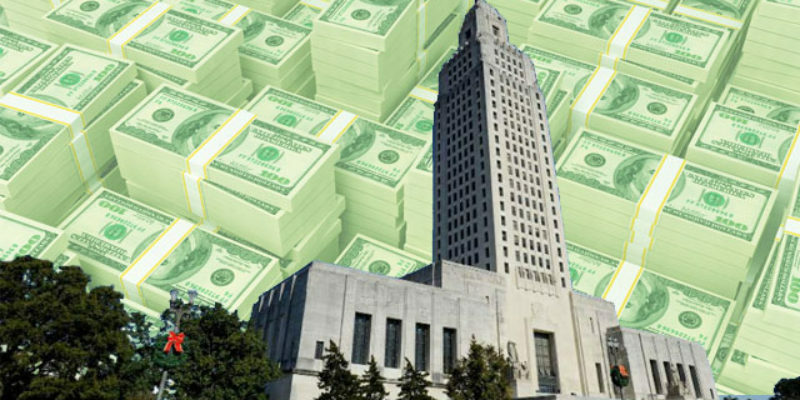 The Louisiana House Republican Delegation sent a letter to Governor John Bel Edwards outlining the conditions under which they would accept tax increases. They demanded that Governor Edwards accept reform proposals designed to identify waste in state government. “While it is your right as the chief executive of the state to set the agenda for any special legislative session that you call, we ask that you consider the results of the two previous special sessions and know that our constituents continue to resoundingly tell us that state government should live within its means.” the delegation wrote. That signals that they are not prepared to back down. The delegation outlined some specific bills and measures they would like to see in the call or signed by the governor. – Sign SB13 (Ward) – The Louisiana Checkbook. – Reconsider HB12 & HB15 from the first special session of 2018 (Barras) – Provides for changes in the expenditure limit calculation. – Give the legislative auditor the authority to audit the records of any state agency for the purpose of auditing programs that expend taxpayer funds and ensuring legal compliance. The governor’s office responded on Twitter through Deputy Chief of Staff Richard Carbo, who was then owned by AFP Louisiana head John Kay. The Republicans in the House have laid down their position for the upcoming special session. Now we’ll see if it has any effect. Previous Article VIDEO: Are Y’all Interested In Watching Gravy Chambers Get Pulled Over And Act Up To The Cops?